To reach the south of Puglia, the area known as Salento, the closest airport is the Salento Airport in Brindisi. At present, the airport is connected to the following European country: Belgium, France, Germany, England, Italy, Netherlands, Spain, Switzerland. Furthermore, the airport is well connected to the main Italian cities. 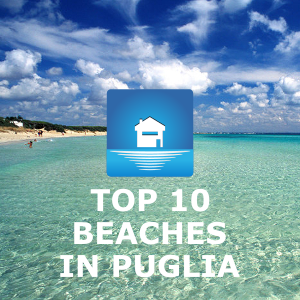 With this post I introduce those who would like to visit Lecce, Alberobello, Ostuni, Gallipoli, Otranto and other seaside towns or the hinterland, to the Salento Airport and to the airlines that will allow you to reach our region in Puglia. 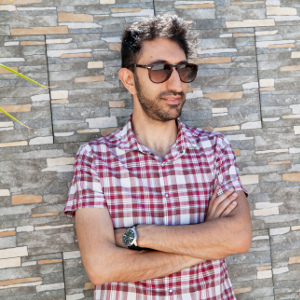 You may also be interested in this post: How to get to Puglia by plane. 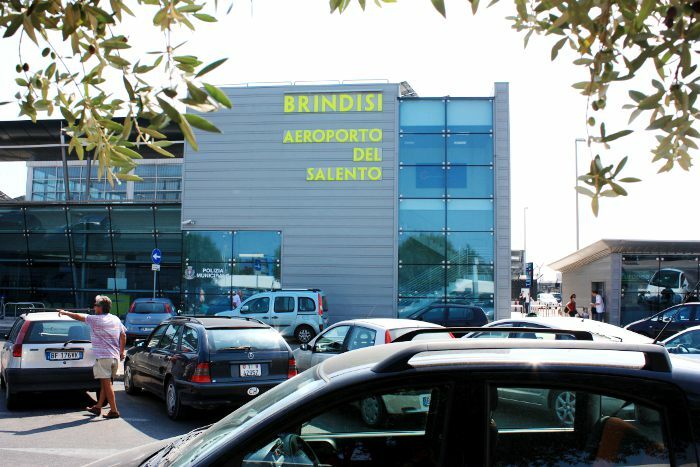 Brindisi Airport is a modern airport, renovated in 2007, and today it is well connected by various flights to Italian and European cities. I was there a few days ago and I must say that the airport has reached an international level, not like some years ago when it was an oldish looking building. 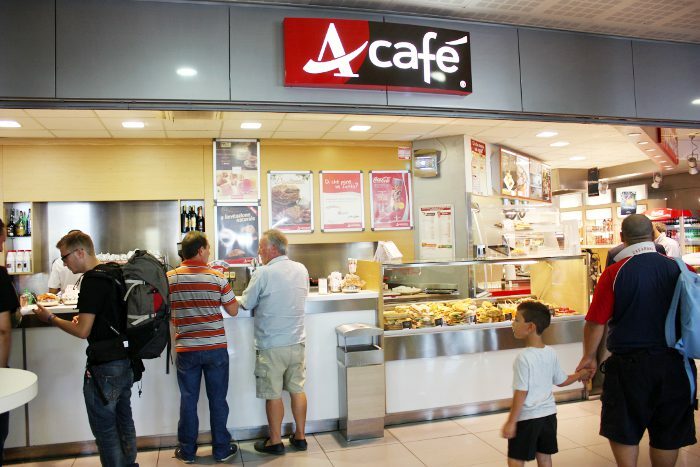 Its aspect and colours are quite pleasurable, you will find a bar, a news-stand, a cafeteria, 17 check-in desks, 8 gates … The cleanliness is notable inside the airport as well as outside, I even checked the toilets: very clean. I like this airport, I believe it is the example of how the whole Salento is developing, a small, pretty airport in step with the times. An airport that had to be adapted to international standards due to the continuous growth in number of travelers, a number that keeps growing every year. 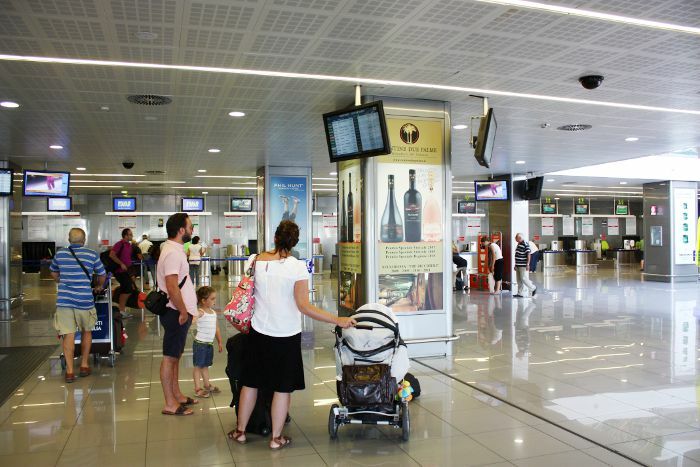 As already written on this blog, Salento airport is connected to the previous Italian and European destinations. 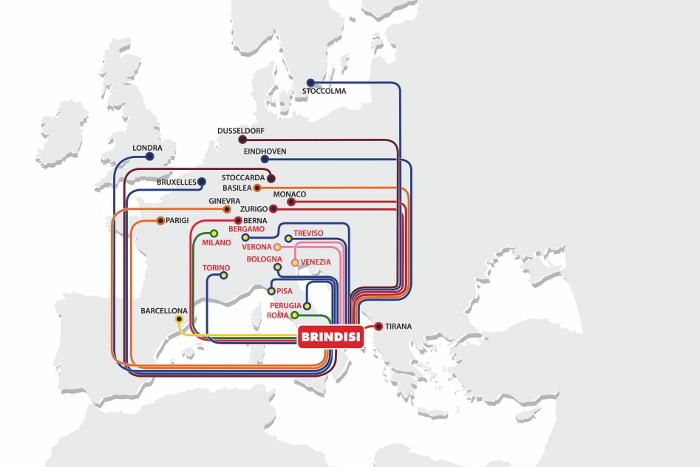 Below you can find a list of all the airlines that fly to/from Brindisi, and all their destinations. 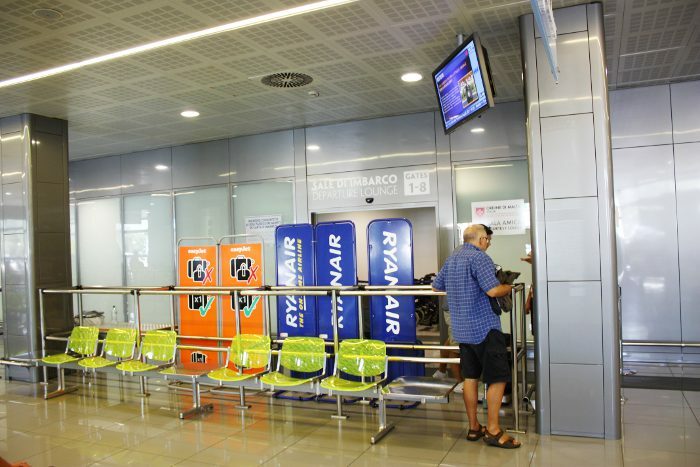 Ryanair is the most active low cost company in Brindisi. It connects the airport to the main Italian cities and to the rest of Europe. Here the complete list of air routes. The German company Air Berlin flies to/from Munich and Zurich. To consider if you are leaving from Germany or Switzerland. This low cost airline flies to/from Milan Malpensa and to Switzerland, to Basel and Geneva, to be exact. This airline is well connected to another Swiss city, Zurich. For those coming from Catalonia, Vueling is the other connection to/from Barcelona, together with Ryanair. The Italian national airline, on the other hand, connects Brindisi to Milan and Rome thanks to many morning and afternoon flights. Volotea is an Spanish company that connects Brindisi to some cities in the north of Italy: Venice, Verona and Genoa. Start looking for your flight with these companies and consider that, if you don’t find a direct flight from your city, there are some big European hubs like London, Paris, Barcelona, Zurich and, in Italy, Rome and Milan, that are directly connected to the Salento region.